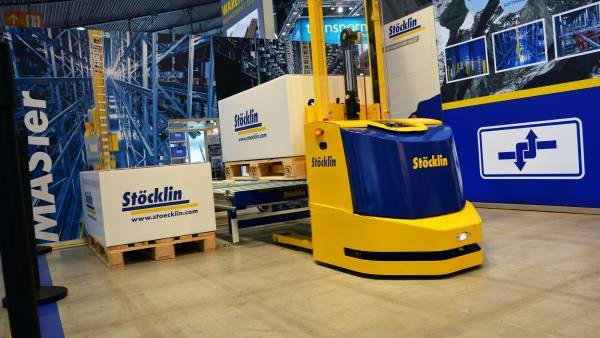 Stöcklin Logstik is a supplier and manufacturer of compact storage system solutions for fully automated storage and retrieval of warehouse inventory with minimum product mix depth. 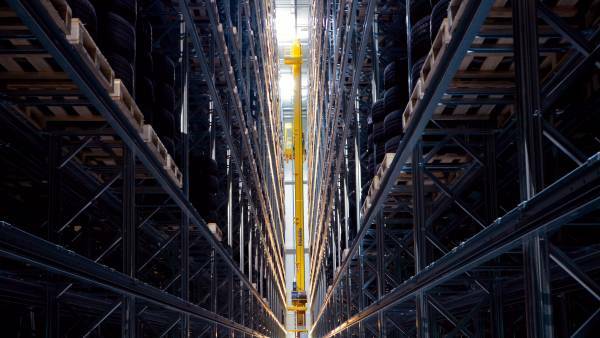 Channel and compact storage solutions from Stöcklin Logistics allow multiple depth storage, i.e. a number of load carriers can be stored one in back of the other. This space-saving method is particularly advantageous in the food and beverage industry as well as in the energy-intensive deep freeze sector. 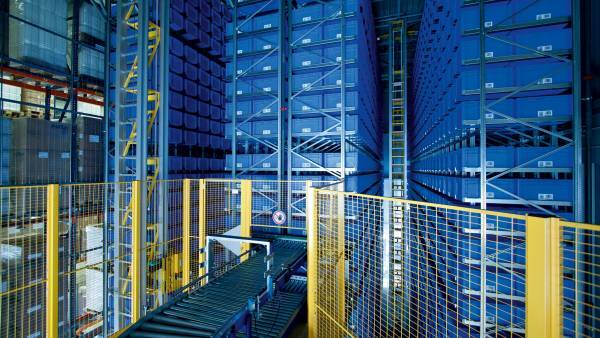 Storage and retrieval are accomplished by the PowerShuttle, developed exclusively by Stöcklin. 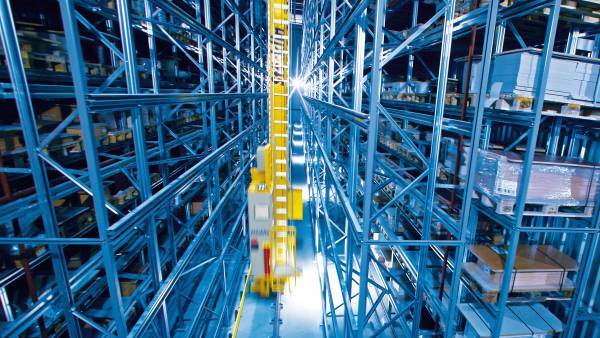 This carrier vehicle is positioned in front of the shelves by a stacker crane, allowing it to travel horizontally on a rail into the assigned channel where it moves beneath the pallet. 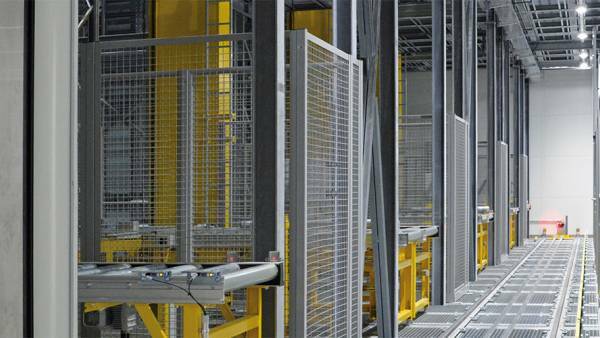 The storage locations are assigned by the warehouse management system in consideration of the minimum best before date of the goods using the FiFo system (First-in/First-out). The PowerShuttle communicates using radio frequency signals and is positioned by means of absolute encoders and sensors. The PowerShuttle is available in one or two-pallet versions (single or double PowerShuttle) and is also suitable for use down to -30 °C. The power supply is a special feature of the Power Shuttle. The PS is driven by a power source with SuperCaps and emergency battery. The double layer capacitors (SuperCaps) are charged after each run within 10 s via pressure contacts on the SCR. The long service life of 1 million charging cycles is a great advantage of the low-maintenance power source.